Hello Krishty, i was looking this thread every day, and im glad to see someone dedicating time to decompressing the PSX era models of Ace Combat. I really liked to see that it´s possible to get access to these models, and i have been looking the models on your tool which DragonSpike released on USEAtoday. also it´s interesting to read the posts about how to decompress the models, how the PSX VRAM works, and how to fix UV maps and converting the VRAM models into a readable format like .WRL (even for me, a noob when it comes to hex and various types of coding). Including the AC3 models that come with Lean´s Viewer build, i see you managed to get the AC2 ones too (the Axel Bay, Comona and Anchorhead map screenshots), and i would like to know about it, how far you manage to extract the polygons of the maps, and if you already manage to extract the aircraft models? That´s all i have to say for now, also keep going on continue this thread and with the updates about the models, it´s hard to find someone with such dedication and knowledge on decompressing PSX models. Also thanks for extracting the AC3 models, my dream of seeing those models from 360º view become a reality thanks to you. Once again a wonderful article! Thank you for investing the time, Krishty. scheichs hat geschrieben: Once again a wonderful article! Thank you for investing the time, Krishty. RythusOmega hat geschrieben: Hello Krishty, i was looking this thread every day, and im glad to see someone dedicating time to decompressing the PSX era models of Ace Combat. I really liked to see that it´s possible to get access to these models, and i have been looking the models on your tool which DragonSpike released on USEAtoday. also it´s interesting to read the posts about how to decompress the models, how the PSX VRAM works, and how to fix UV maps and converting the VRAM models into a readable format like .WRL (even for me, a noob when it comes to hex and various types of coding). […] That´s all i have to say for now, also keep going on continue this thread and with the updates about the models, it´s hard to find someone with such dedication and knowledge on decompressing PSX models. Also thanks for extracting the AC3 models, my dream of seeing those models from 360º view become a reality thanks to you. Thank you for your kind words! I’m glad you enjoy the articles and feedback like yours really keeps me going (I read your comment on USEA Today as well)! RythusOmega hat geschrieben: Including the AC3 models that come with Lean´s Viewer build, i see you managed to get the AC2 ones too (the Axel Bay, Comona and Anchorhead map screenshots), and i would like to know about it, how far you manage to extract the polygons of the maps, and if you already manage to extract the aircraft models? First of all, please excuse the silence over the last weeks. I’ve been busy with work, and on weekends, I’ve been helping the guys at Driver Madness with extracting Driver cities, some stuff I had promised them in spring. 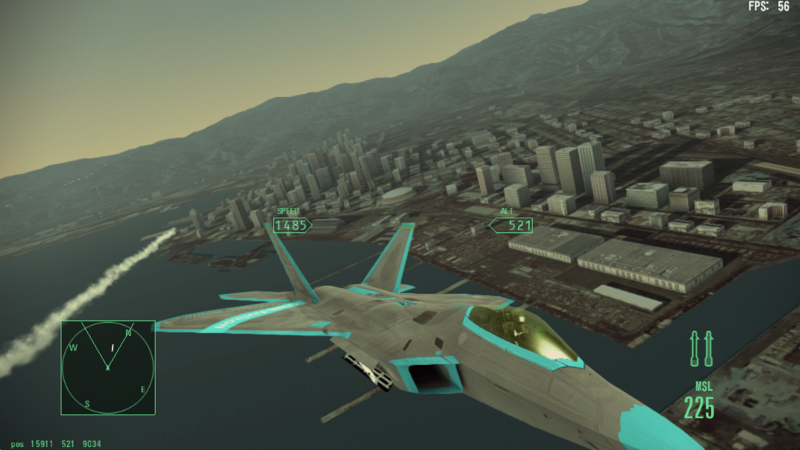 I can extract basic terrain features of all Ace Combat 2 levels, for better or worse. E.g. the bridge at Anchorhead is missing and so are some carriers and buildings. It all has a common cause – the way Namco placed the objects is vastly different from Ace Combat 3, and it’ll take some time to decode the correct placement. 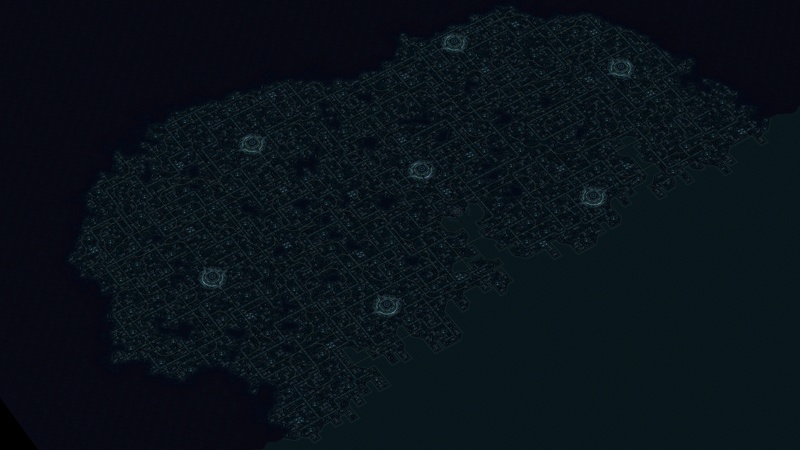 Furthermore, Port Edwards at Night has some serious transparency issues; probably caused by animated signal lights from skyscrapers. Figuring this out is quite painful. I’m planning to release an archive with the WRL levels once these issues are fixed. I’ll start extracting the planes then. You may remember my discovery of the ULZ compression in Ace Combat 5. I was also having a look at Air Combat, and amazingly, it shares some data structures and sound formats with the other games. Namco used many identical file structures in all their games, and I try to keep my tools as compatible as possible, so I can hopefully extract all Ace Combat games in the future. DragonSpikeXIII ist noch lange nicht fertig mit seiner Ace Combat 3-Übersetzung. Drüben auf USEA Today schreibt er im Detail, wie es weitergehen wird – und das klingt fantastisch! wow, so many discovers, glad you found the way how models works and how they are stored in the game! I have a good news, I made an Ulz compressor for ace combat 3, I'll release it soon and I am starting to look to other tools for creating a suite capable of editing the game without break anything. Of course, just let me gather the pieces. Did you see DragenSpike’s collection @ http://www.romhacking.net/forum/index.p ... #msg340734 ? Yes you did, just checked your Wiki! I’ve uploaded for source code for unpack_AC2 and unpack_AC3 to my original post. I’ll upload more stuff (terrain extraction etc.) when that’s finished and the tutorials are written. Thanks so much, I'll take a look to your files! You need at least python 3.6 and can compress ulz v0 and v2, it analyse the files too and tells what parameter use for recompress the original files. The tool has been tested against my decompressor, because we didn't had time do test and debug on the game on an emulator, if you test it, please give us feedback! Lz77 was used for compress files, but I have to optimize it, is still not efficient as the original namco's tool. DeviantArt user RauuruKun used my extracted Ace Combat 3 models for very cool wallpapers. Must-have for fans! Zuletzt geändert von Krishty am 15.12.2017, 20:18, insgesamt 1-mal geändert. Wow, i was checking ZFX everyday for seeing future news about it, then those days i decided to check out and i have been suprised to see you have seen my EC-17U Model/Skin modification on my twitter during i was making the 5-view showcase of AC3 models, i just have to say, wow i very suprised to be noticed even with long time ago not talking here. Well i gonna get a little long on this post, but considering the tutorial lengths i think it don´t mind. About the EC-17U model i have worked, yeah, the idea have came when i was everyday looking into the AC3 models, i have used the PAL Press-Kit pictures(that ones which you have posted long time ago) from the "Beta" and the Ridge Racer Type 4 teaser(that video you have also posted along about Expo City Beta/Alpha) as references for making it. the model aside of the texture i have made some vertex tweaks with "some methods", which you can notice by EC originaly his fuselage section it´s more curvy than F/A-18I, due by because EC-17U it´s somewhat based of YF-17 Cobra(F/A-18 first prototype). also this image shows better the differences. Also since you liked the skin work i made, this was just only half of my work, i also have made some magic things with AC3 himself with my skins works thanks by founding Umod and a EPSXE plugin called Next3D, if you are interresed i can even talk about it. Ok, now getting into EC-17U about him from the game himself, yeah, trying to digging a beta from a game which it´s sometimes underground is hard. the only pictures of the beta we have now are the PAL Press-kit and about demos for now we only have the same various ones from US/EU which showcase the Mission Code mission(the one which also makes part of that replay of Su-37 of US/EU Version´s Music Player). about bootlegs the only AC3 bootleg CD i know it was a PS1 Collection which the AC3 of it, was the Japanese version however the hackers tried to make a hybrid of CD 1 and CD 2 in one, but the union gone wrong due by some communication interrupted warning(like Fates Interwinded, Dillema and Utopian Dreams) makes the game freezes on that screen, making you to reset it. aside of that, some music and dialog was also missing, but yeah, thanks to that disc it´s was my first contact with japanese version of AC3 from that time. 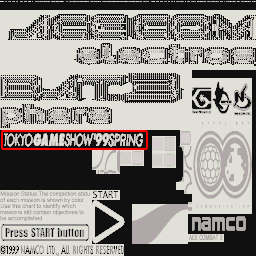 Now about the Beta of AC3, the only clues i have found about it, the first one, on the AC3 title menu textures, you can notice a Tokyo Game Show 99 title which probably was planned to be used on a AC3 demo, at least, the TGS 99 demo which was featured on TGS 99 event on japan. however the only images i have seen of the event, and considering it was already on the year which AC3 was planned to be released, the TGS 99 demo i think it don´t have some drastic differences and maybe it was more next to the final game. but i think founding a AC3 beta it´s still a possible thing in the future, like some people of the arcade game scenario managed to found very rare betas and cancelled games with their boards, which they managed to get in some junk shops or even entering in contact the a employer of the company to get a copy of it(by money). Also, another thing which have a little connection to the tutorials and AC3 resources, i managed to found a alternative easy way to decompress PS1 ADPCM using PSsound, which if you don´t mind i can share if possible here?, for now i managed to get already some of AC3 audios, fixing their KHz bitrate and found some interresing things. 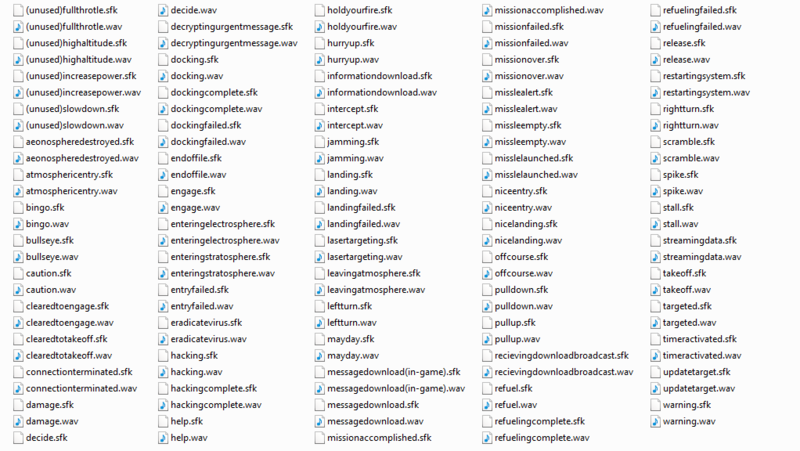 but for some reason sometimes i feeling that it missing something(like some SFX, example : some missle sounds, OSL fire sound) i don´t know why, the sounds you already managed to extract was all from the game, or they are still some missing files which needs to be decompressed? RythusOmega hat geschrieben: i just have to say, wow i very suprised to be noticed even with long time ago not talking here. RythusOmega hat geschrieben: Well i gonna get a little long on this post, but considering the tutorial lengths i think it don´t mind. thanks by founding Umod and a EPSXE plugin called Next3D, if you are interresed i can even talk about it. i managed to found a alternative easy way to decompress PS1 ADPCM using PSsound, which if you don´t mind i can share if possible here? All links are welcome (unless it’s piracy), and we’re always glad to have interesting posts here. So go ahead and post/link whatever you like! Thanks a lot for the EC-17U / F/A-18I overlay! I didn’t realize you modified the vertices, but it’s very clear now. I was having a similar idea and gathered some screenshots from said video, but I never had the time to realize it. Very good job! Same with the UMod skins! Also, thank you for information on the beta. (I was asking a similar question on USEA Today, but it looks like DragonSpike lost the comments section, or like he’s rearranging it.) At this point, I don’t have much hope to ever find a AC3 beta/leak, which is pretty sad. PSX leaks are very rare. One last chance might be the Internet Archive – Jason Scott is currently ripping and scanning thousands of CDs that were sent to him, and there was also at least one rare press release of some classic game. I guess we should check the Internet Archive once or twice a year, maybe we’re lucky one day. Did you ever get your hands on the Chinese AC3 version? I know there are people out there who have it (one or two users on ROMHacking), but I never found it in the wild. A little off-topic: Acepedia states that Ace Combat 1, in very early versions, had a realistic setting where NATO & Co. were explicitly mentioned in the story. I downloaded every copy I could, even the Russian ones, but I never found one. Is there any proof it exists, or is it just fake news in the Acepedia? the PAL demo, in its font, has the letter i at a slightly different position. also, the plane selection screen has a slightly different resolution. I’m always wondering whether there was a Japanese demo? Considering the sounds: The ADPCM data I extracted is packed with some kind of dictionary. I have not yet decoded it. If PSound just performs a brute-force search over the data, some sounds could be lost in its heuristics. I’ll improve my sound processing some time later in hopes of extracting everything. Send me all the Ace Combat resources you got. I’m very busy with my job now, but when I find time to get back to Ace Combat extraction, the data will very likely help me! to clear any lingering doubts, I don't have any clue about the Japanese press kit or pre-release versions of AC3E. Regarding Ace Combat and NATO, it's only mentioned here https://i0.wp.com/game-rave.com/wp-cont ... ongbox.jpg Moreover, there's no mention of NATO anywhere on the Japanese side of things, not that I could find. I also played Air Combat on release, and don't remember seeing it getting mentioned in-game either. Maybe this information will help you rest easy now. Thank you for the clarification! One more problem in finding leaks: Even if Namco or some employee stored pre-release AC3 data on CDs, they are likely to rot after 20 and more years. Hard drives start to demagnetize after such a long time. The arcade leaks RythusOmega mentioned have often been found on floppy disks and I doubt anyone used them for long-time storage in 1999. Since Air Combat was one of the first PSX games (SLUS-00001/SLES-00007?) I also assumed there could have been some revisions, but all ISOs I found were identical. I think we can safely assume there have not been any AC1 patches. A take-off/landing system was included just a week after the game had been submitted for approval, being in mostly working condition three weeks afterwards. As a result, copies with such sequences were available only to the programmer team. Are there any features you would like to have included, but couldn't because of time constraints? We would have loved to include the replay and landing/take-off features. Actually, we finally got the replay feature working the week after we submitted the game for approval. The landing and take-off feature was up and running just three weeks after. (Even though, we got these features to work, we still needed time to perfect them.) We actually tried to implement both of these features in the game afterwards, but we didn’t make it before the launch. In the end, a copy of Air Combat with the replay and landing/take-off features was something only the development team had. Now this would be a collectors item! Also a additional note about the pre-releases/beta versions of AC3. DragonSpikeXIII hat geschrieben: to clear any lingering doubts, I don't have any clue about the Japanese press kit or pre-release versions of AC3E. Krishty hat geschrieben: Thank you for the clarification! One more problem in finding leaks: Even if Namco or some employee stored pre-release AC3 data on CDs, they are likely to rot after 20 and more years. Hard drives start to demagnetize after such a long time. The arcade leaks RythusOmega mentioned have often been found on floppy disks and I doubt anyone used them for long-time storage in 1999.
reading Krishty last post made me remind of a story i have seen long time ago. which Namco unfortunately have lost all the AC3 files from their hard drives, i remember that in 2007/8/9 i was looking into internet, then i have found a post on twitter which a fan has asked to a namco dev about if a AC3 remake was possible, and his reply was it´s was not possible due by their lost all the data about it. the source about this i can´t find it anymore because that´s was very long time ago and for founding it´s gonna been a hard task along that i don´t know if is true or not. but one of the almost "proofs" that they lost AC3 data was on the Famitsu interview of the Update 2.07 of Ace Combat Infinity, which when they asked Kono and the Devs about of R-101, one of the Devs in the interview said that other dev of the team needed to brought his PS1 and his AC3 copy to using as a reference for the recreation. Famitsu: I see. What was the most difficult update so far, dev-wise? Kono: When we put the Delphinus (R-101 Delphinus from Ace Combat 3: Electrosphere is an original fictional aircraft) in, we wanted to recreate the HUD from the game it originated from. When work on it started, we all felt “Would this be alright?” Because the makeup of Infinity and 3 is quite different, it was really difficult to get it finished on schedule. We wanted the fans to be able to fly it, and so we had faith in the dev team. Koyanagi: The dev responsible for the Delphinus’ HUD actually brought a PS One and played Ace Combat 3, and made the HUD while looking at the game. I read the interview differently – the dev looked at AC3, but he wasn’t forced to. HUDs move, switch modes, and have many symbols. You cannot re-create them from looking at their source textures, you really need to observe them in action to understand them. We were looking at production estimate costs when the dev already went ahead and making it. […] That particular dev was such a huge Ace Combat fanboy he really couldn’t be restrained (laugh). RythusOmega asked me for help regarding Ace Combat 5’s ULZ files. Specifically, he needed an ULZ unpacker. I downloaded Arthur Richard’s acanalysis (the entire bin folder). Sadly it doesn’t run well (hangs/crashes). I tried to build it myself, but it doesn’t compile well and I had no time fixing it. So I applied some compatibility settings to AC4Analysis.exe and retried a few times until it finally worked. By the way, I uploaded all my snapshots to https://papas-best.com/acecombat_en … many of those were intended for use in this thread, but I didn’t have the time to write the explanations yet. so much progress since my last visit, your work is astonishing. I am still working on translating the game, make it better, did you bump into subtitles timing by chance? We know how to edit the text, but we cannot control yet how long a line of text is show. I think there is some file containing the timecodes a command for cleaning the screen. Interesting problem. No, I haven’t bumped into those yet – to be honest, I haven’t even understood yet how individual levels are connected to missions! Oh, Open Horizon, i was following the project those times when it was active. the owner of the project "Razgriz" it´s making a nice job on him. i even already entered in contact with him long time ago on the comments section, even him has pointed out the compression list of each game´s containers(from AC4 to ACI, still incomplete yet). "As long as I will not provide original AH resources in my releases and will not use disassembly to get original algorithms, I hope it will not violate original game creator’s license." ̶A̶l̶s̶o̶ ̶y̶e̶a̶h̶,̶ ̶t̶h̶i̶s̶ ̶w̶a̶s̶ ̶p̶r̶o̶b̶a̶b̶l̶y̶ ̶f̶o̶c̶u̶s̶e̶d̶ ̶o̶n̶ ̶A̶H̶ ̶f̶i̶l̶e̶s̶(̶e̶v̶e̶n̶ ̶h̶i̶s̶ ̶Q̶D̶F̶_̶t̶o̶o̶l̶ ̶c̶a̶n̶ ̶d̶e̶c̶o̶m̶p̶r̶e̶s̶s̶ ̶n̶a̶t̶i̶v̶e̶ ̶f̶i̶l̶e̶s̶ ̶f̶r̶o̶m̶ ̶A̶C̶A̶H̶ ̶P̶C̶ ̶v̶e̶r̶s̶i̶o̶n̶ ̶f̶r̶o̶m̶ ̶t̶h̶e̶ ̶c̶o̶n̶t̶a̶i̶n̶e̶r̶s̶ ̶a̶t̶ ̶l̶e̶a̶s̶t̶,̶ ̶b̶u̶t̶ ̶n̶o̶w̶ ̶t̶h̶e̶ ̶f̶i̶l̶e̶s̶ ̶h̶i̶m̶s̶e̶l̶f̶)̶,̶ ̶b̶u̶t̶ ̶f̶r̶o̶m̶ ̶t̶h̶e̶ ̶r̶e̶s̶t̶.̶ ̶t̶h̶e̶ ̶m̶a̶i̶n̶ ̶f̶o̶c̶u̶s̶ ̶o̶f̶ ̶h̶i̶m̶ ̶i̶t̶´̶s̶ ̶h̶e̶ ̶w̶o̶u̶l̶d̶ ̶n̶o̶t̶ ̶w̶o̶r̶k̶ ̶o̶n̶ ̶d̶e̶c̶o̶m̶p̶r̶e̶s̶s̶ ̶t̶h̶e̶ ̶f̶i̶l̶e̶s̶,̶ ̶h̶e̶ ̶o̶n̶l̶y̶ ̶i̶t̶´̶s̶ ̶f̶o̶c̶u̶s̶i̶n̶g̶ ̶o̶n̶ ̶m̶a̶k̶i̶n̶g̶ ̶a̶ ̶e̶x̶t̶e̶r̶n̶a̶l̶ ̶w̶a̶y̶ ̶o̶n̶ ̶i̶n̶j̶e̶c̶t̶i̶n̶g̶/̶l̶o̶a̶d̶i̶n̶g̶ ̶t̶h̶e̶ ̶d̶a̶t̶a̶ ̶f̶r̶o̶m̶ ̶t̶h̶e̶s̶e̶ ̶f̶i̶l̶e̶s̶ ̶i̶n̶t̶o̶ ̶t̶h̶e̶ ̶e̶n̶g̶i̶n̶e̶ ̶h̶e̶ ̶i̶t̶´̶s̶ ̶w̶o̶r̶k̶i̶n̶g̶ ̶a̶l̶o̶n̶g̶ ̶w̶i̶t̶h̶ ̶h̶i̶s̶ ̶c̶o̶d̶i̶n̶g̶(̶N̶y̶a̶ ̶E̶n̶g̶i̶n̶e̶)̶.̶ but yeah, we have at least the code research of the files already reversed on the .h files, those can be useful soon. EDIT : "yeah, i made a reading error, Razgriz had said that it would NOT include decompressed AH assets/code on the Open Horizon builds. thus why he made a separate tool(QDF_tool) for people decompressing the AH files by their own. RythusOmega hat geschrieben: Oh, Open Horizon, i was following the project those times when it was active. the owner of the project "Razgriz" it´s making a nice job on him. i even already entered in contact with him long time ago on the comments section, even him has pointed out the compression list of each game´s containers(from AC4 to ACI, still incomplete yet). Thanks for the explanation, and also thanks for that resource format list – this greatly helps me prioritize things! Disappointing, isn’t it? It’s not that all of AC2’s levels would be better, just that a few of AC2’s levels exceed all levels of AC3. On the downside, there are lots of huge gaps in AC2’s terrain (seen as bright pixels in the screenshots). I was updating the screenshot function in my model viewer and I wondered how high I could turn up the resolution. I want to keep the original rendering’s transparency – not the gray background of the window – so screenshotting is realized with D3D 11 render-to-texture, not with GDI. This allows to specifiy arbitrary resolutions. Copying the data to the Windows clipboard was a major hassle, and maybe I’ll dedicate a future thread to it. I was eventually limited by the five-second GPU driver timeout at 10k pixels sidelength. 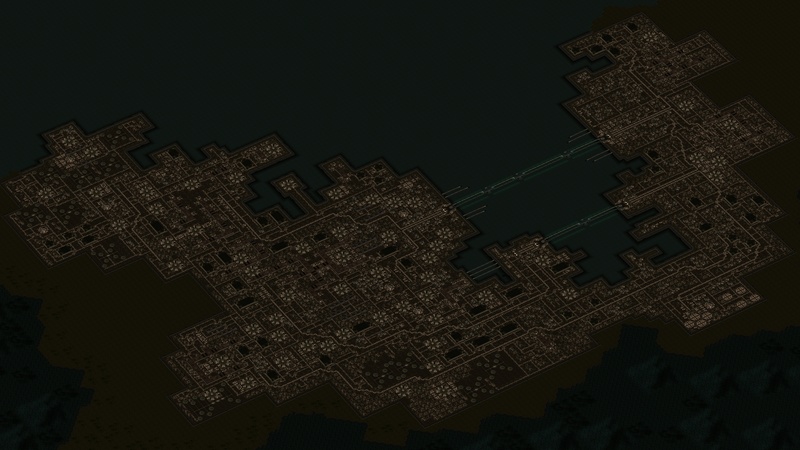 Overview maps turned out pretty impressive at that resolution. 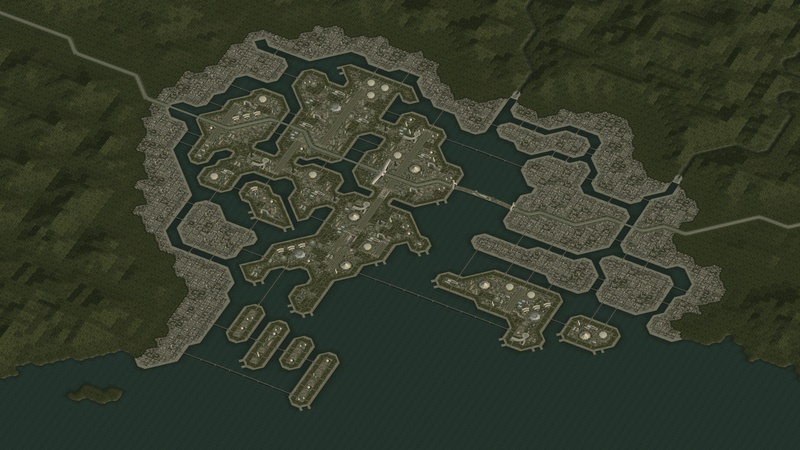 Here are some Ace Combat 3 maps in 10,240 × 5,760 pixels with 8× multisampling. Be warned – the JPG files have sizes of 16–25 MiB each and they can slow down your browser considerably! Furthermore, I decided to correct the annoying nose tip artifacts. Namco didn’t get those right, and indeed it’s pretty complicated. Here’s a StackOverflow thread on the problem. I solved it by assigning the foremost vertex on the Z axis a collapsed (zero) normal. Not all planes were affected (some don’t have sharp nose tips), so I had to special-case my code. Duh, whatever. Love, that you always optimize your stuff, keeping it simple and easy to use, as well as ironing out bugs that most people wouldn't even notice. That shows really dedication and it always makes me happy/motivates me to see people with such characteristics! Thank you Krishty!